The full-color DIGITAL study guide is delivered as an 8.5 x 11 PDF. This study guide is perfect for personal study as well as within a group setting. *If ordering the digital version, we encourage you to print the PDF file and either have it spiral bound yourself or hole punch it and secure in a binder. THIS STUDY WAS TAUGHT IN THE JOYFUL LIFE COMMUNITY GROUP ON FACEBOOK AUGUST 13TH THROUGH 24TH. 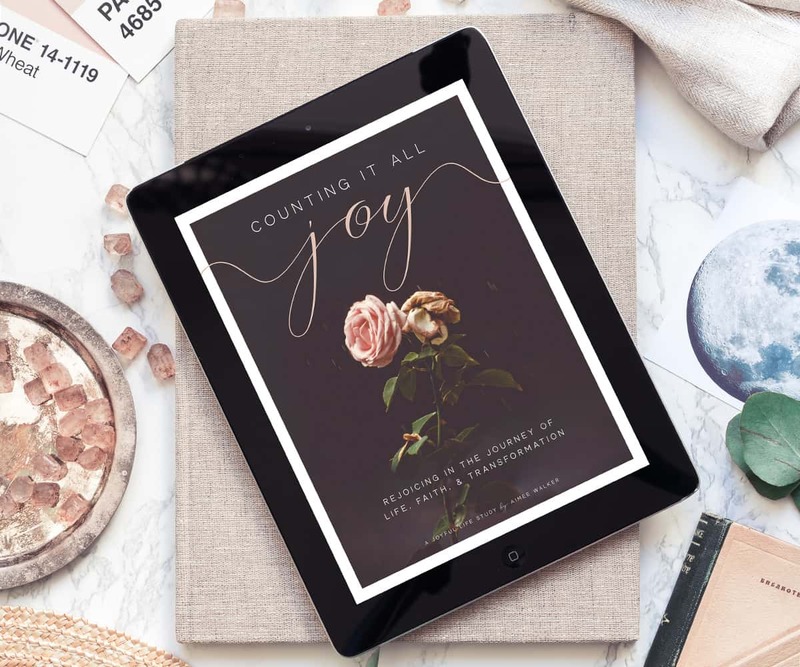 If you missed the community group study, you can still access the additional daily teaching and encouragement (both written and video) by Aimee within the study group! Simply join the community group on Facebook and navigate to the ‘Group Bible Study’ tag to view all of the corresponding videos. *Please Note — digital products are non-refundable.